In 2017 the Arts Trust came up with an idea to get young people involved in creating art to put in public spaces in Central Otago. Following discussions between the Trust Coordinator and the Central Otago District Council Properties and Facilities Officer it was decided to commission a local educator to make this happen. Artist Maxine Williams facilitated a number of workshops for creative young people in Alexandra and Clyde. The final result was four wonderful mural panels which can now be seen in public spaces throughout the area. The 2017 project was so successful we decided to roll it out in Cromwell in 2018. 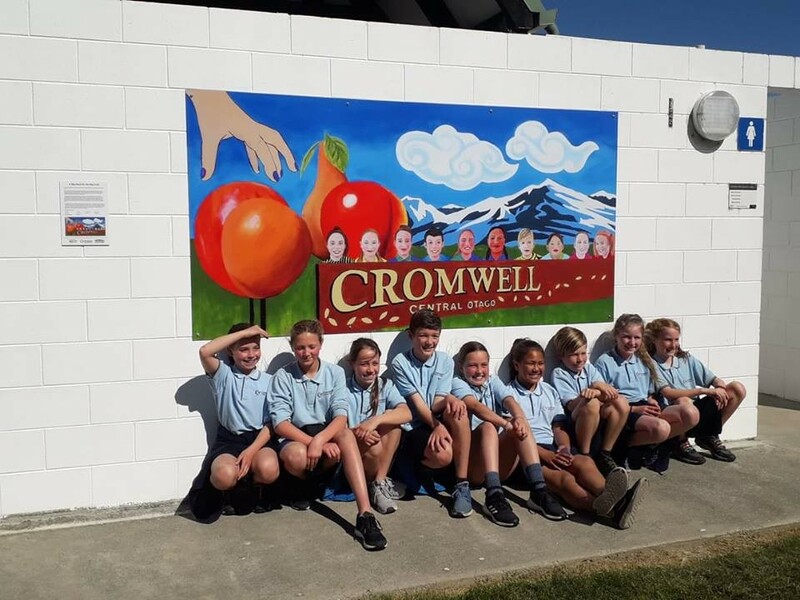 We celebrated the unveiling of three murals created by students from Cromwell Primary, Goldfields Primary and Tarras School. A huge congratulations to all of the young people involved for creating these wonderful works. 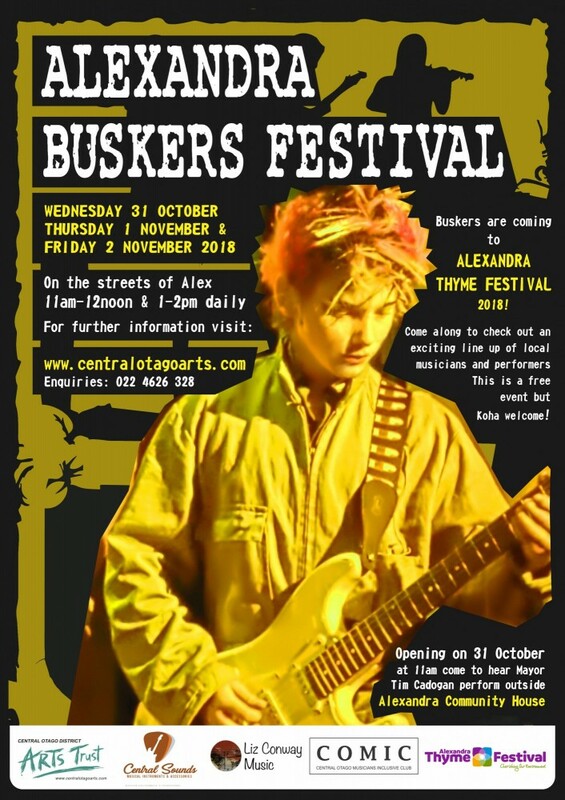 Plans for the Alexandra Buskers Festival are well under way with interest from performers and participants growing on a daily basis. The Festival is being held in conjunction with the 2018 Thyme Festival and will happen on the 31st October and the 1st and 2nd of November on the main streets of Alexandra between 11-12 and 1-2 daily. An opening celebration will be held outside the Alexandra Community House at 11am on Wednesday the 31st October where Mayor Tim will perform. Everyone is welcome to attend and passers by are welcome to stop and have a listen. A list of designated areas and their assigned performers will be out soon so keep an eye on the Central Otago Arts facebook page and the www.centralotagoarts.com webpage for updates. So far we have stilt walkers, a great selection of musicians and poets...we welcome many more enquiries so if you are interested please feel free to give us a call to have a chat. Ph; Rebekah 0220170478 or Denis 0274206696.